Thảo luận trong 'ENGLISH' bắt đầu bởi Graham Sheldon, 13/2/19. 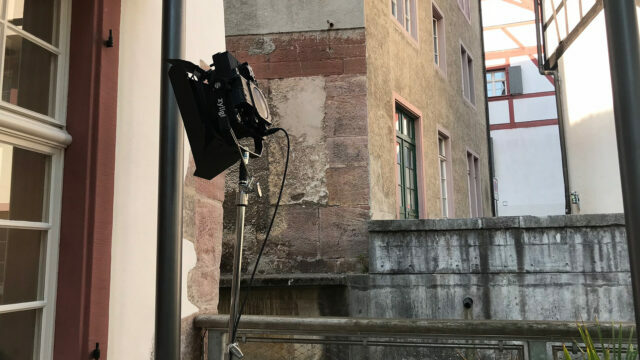 The Zylight on location in Basel, Switzerland. When you open the box, it is clear that a ton of thought went into this light. It’s dimmable from 0-100%, runs quiet and isn’y over-designed, but the ability to accordion (for lack of a better word) out the lens to focus the output works marvelously well. Simply turn a knob at the back of the fixture and the beam angle narrows from 16 degrees to about 70 degrees as the lens extends. 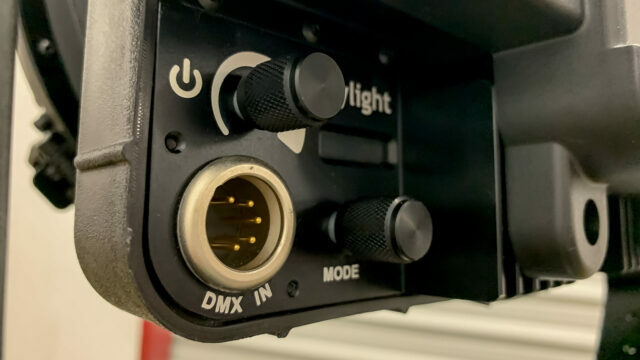 This simple design feature gives you a more versatile light and keeps it compact for travel (it fits in a small Pelican case with all the accessories). The build is superb; it feels bullet proof. In 6 weeks, we never encountered any issues. I do think it will hold up over longer shoots, but we put it through the paces at a month of using it for several hours a day. The manufacturer claims a CRI of 93 and in my experience, that’s accurate. I paired the light with several other brands of daylight LED fixtures, and it matches color perfectly without the need of minus green. The light also has an IP54 rating, which means that rain, snow and dust shouldn’t effect the operation of the light much. We did use it in the rain with no problem. You can power the light through the wall obviously, but Zylight also makes a dual V-mount or Gold Mount battery adapter that affixes to most C-stands. I will say that the light is battery hungry. I’d say two new Dionic 90’s will get you about an hour of use in most situations. Not a big deal for us as we use Dionic 90‘s with everything. The ability to travel all over the Alps with this light in a run and gun doc style project was exactly what we were looking for. I will say the light weighs a little over 10lbs (4.5 kg), so you’ll want to make sure you have a properly sandbagged C-stand to use for mounting. The output is where this light really shines. Think around a 2K, if your head still homebases in tungsten. That output allowed us to punch the light into rooms from outside windows in some cases, as a bounced key light or to fill in dark portions of backgrounds as motivated sunlight. There where even moments where we used the light outside (with some diffusion) to fill in shadows on the face of talent during long interviews. 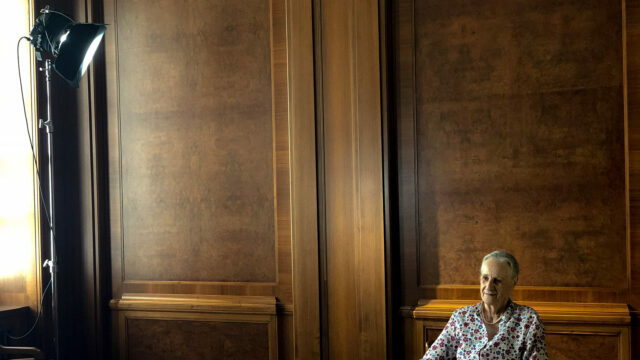 The Zylight raking the background of an interview in Lucerne, Switzerland. 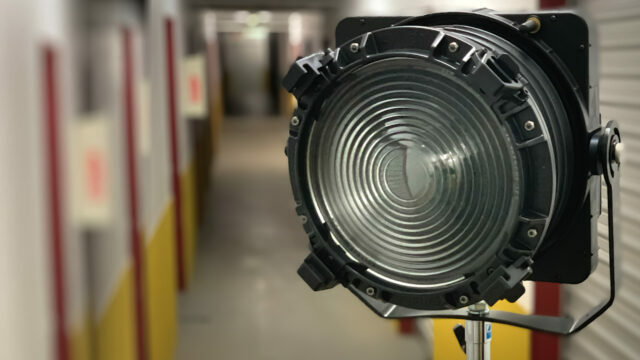 The price point of $2,499.00 puts the Zylight significantly cheaper than comparable (in terms of output) HMI fixtures, but more expensive than an equivalent intensity tungsten fixture. However, as you know, Tungsten burns hot and pulls a ton of power. A whole line of accessories exist for the light including a softbox and various types of cases, but the barn doors are included in the kit. The Zylight F8 200 is also available in dedicated 3200K form as well. I’m always looking for the one light that works in all situations (spoiler alert – it doesn’t exist) but you really can’t go wrong with a high CRI/high output source like the Zylight F8 200. It is small enough to take along in a small crew, has minimal power draw for use in homes and the ability to focus the beam without attaching complicated accessories is fantastic. Since using the fixture in Europe I had the opportunity to use it during a PSA shoot and a longer 6-episode digital series and it is steadily becoming one of my go-to lights. The LED market is becoming more crowded these days, but the Zylight F8 200 is a true standout for me. Did you have a chance to use the Zylight F8 200? Do you prefer working with Daylight/Tungsten fixture? Please share with us your thoughts on the comment section below. The post Zylight F8 200 Field Review – A Stellar High-Output LED Fresnel appeared first on cinema5D.